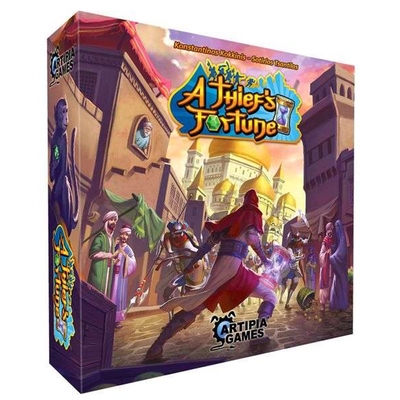 A Thief’s Fortune is a card game for 1-4 players in which each player represents a different possible future of the same character. By visiting different locations, interacting with local characters and making sure that certain events you have seen actually happen, you try to find the path that will lead you as far away as possible from danger. In more detail, players each have three areas in front of them: past, present, and future. Over five rounds, players draft location, event, and character cards, adding them to their personal “future” area with resources on those cards. 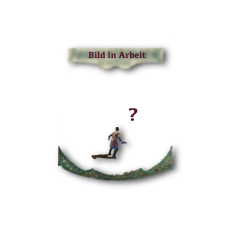 Players extract resources from those cards, and when they’re empty, the cards move into the player’s present, after which the player can activate the power on those cards to score the fortune points they need to win the game.